Here’s a simple project the kids are sure to love. 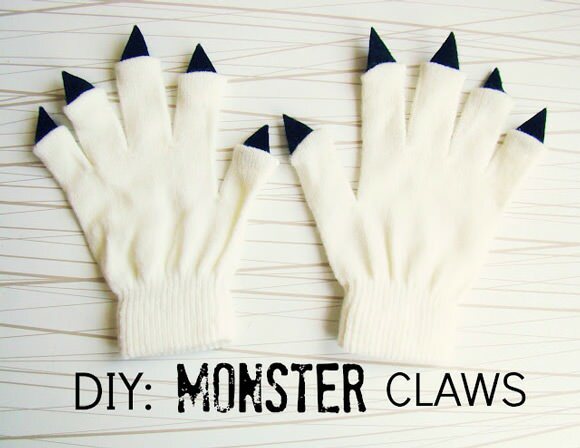 All you need is a pair of gloves, felt, and a hot-glue gun. Visit The Southern Institute for the tutorial. Here’s a fun Lorax costume I made for my little Noah a few months back. Head over Babble for details. 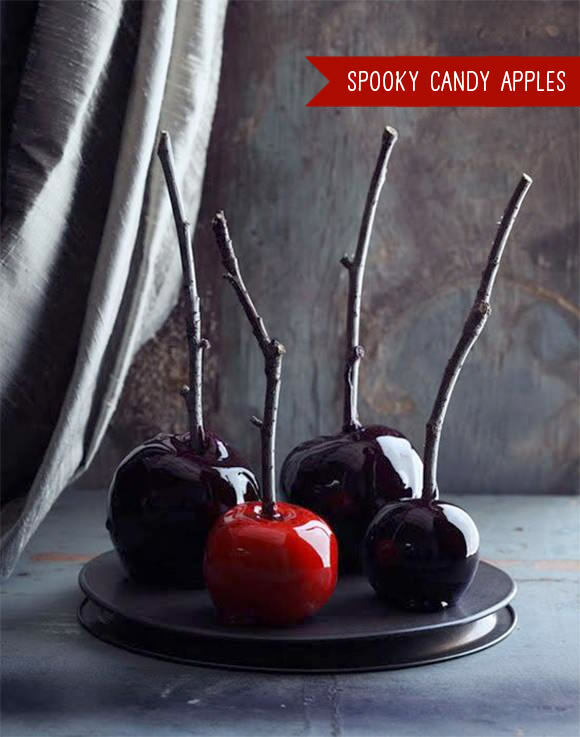 These just might be the prettiest candy apples I’ve ever seen. Visit Country Living for the recipe. 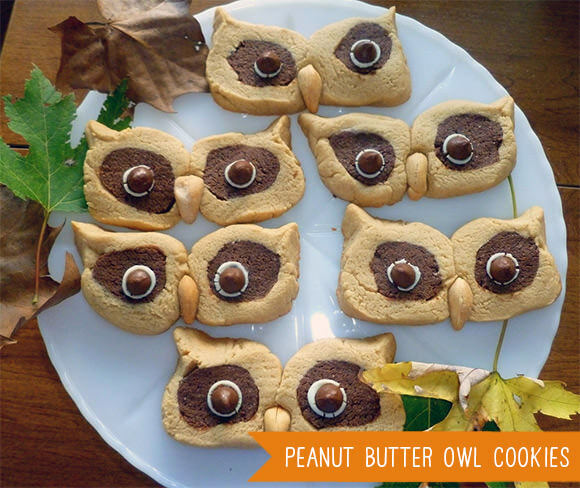 I’m in love with these owl peanut butter cookies. You can find the recipe at Growing in Grace. Kate Lilley of Minieco never ceases to amaze me with her steady stream of outstanding DIY paper craft tutorials. These treats boxes are definitely something you don’t want to miss – head over to Minieco for the free download! 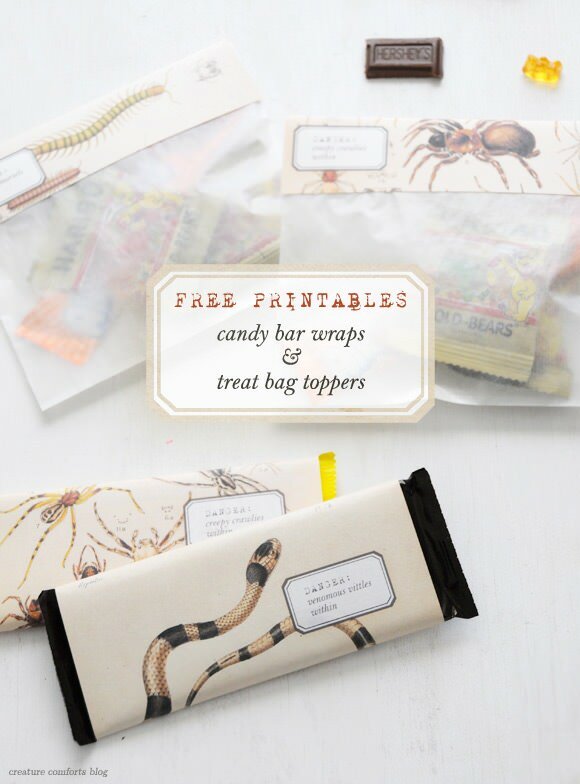 Ez over at Creature Comforts whipped up these amazing candy bar wraps & treat bag toppers and decided to share them with everyone as a free printable. Very cool! 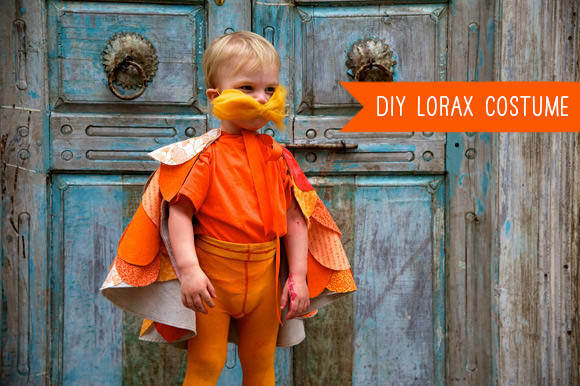 What a precious little Lorax :) Such fun Halloween ideas!! !